Asthma affects nearly 25 million Americans, causing breathing difficulties and even life-threatening attacks. 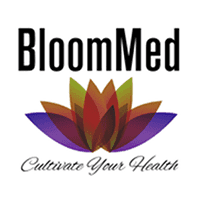 At BlloomMed LLC in McKinney, Texas, Dr. Stephanie Cudjoe offers comprehensive asthma evaluations to determine the severity of your asthma. She also designs custom treatment plans to help you manage your asthma symptoms and prevent future asthma attacks. Learn more about treating and preventing asthma by scheduling a consultation with Dr. Cudjoe online or by phone. Asthma is a condition where you experience breathing difficulties due to the inflammation or narrowing of your airways. You may have occasional and minor asthma symptoms, or you may experience severe breathing issues that disrupt your normal activities. In some cases, asthma symptoms can develop into a life-threatening attack that requires immediate medical help. You may have flare-ups during exercise and other physical activity. Your environment may also trigger asthma symptoms or attacks. Some environmental irritants include smoke, certain airborne compounds, pollen, and pet dander. You may be at increased risk for developing asthma if you have a parent or sibling with the condition. You may also be prone to asthma if you have allergies, including hay fever. If you smoke or are around secondhand smoke, you may be at risk for asthma-related breathing problems. Working outdoors or being exposed to pollution, dust, and chemicals can also increase your risk for asthma. Having chronic obstructive pulmonary disease (COPD) can also lead to a worsening of your asthma symptoms as well. Dr. Cudjoe offers pulmonary function tests to determine how well air moves in and out of your body as you breathe. She may also recommend imaging tests of your lungs to rule out structural defects in your respiratory system that can interfere with your breathing. Additionally, Dr. Cudjoe can review your history of COPD or other medical issues that can be triggering your asthma symptoms and help you manage them effectively. Which treatment options are available for asthma? If she determines you have asthma, Dr. Cudjoe can discuss your lifestyle habits, your work and living environment, and your family history of asthma to create a treatment plan. Depending on the severity of your symptoms. Dr. Cudjoe may recommend fast-acting asthma medications, as well as long-term asthma control medications to ensure you can breathe properly. She may also recommend lifestyle changes, such as avoiding allergens and quitting smoking to prevent future asthma attacks. Asthma medications may be taken orally or inhaled, depending on your needs. She may recommend you carry an albuterol inhaler for emergencies or use more advanced breathing treatments at home to keep your airways open. 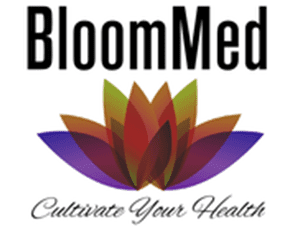 To learn more about available asthma treatments, schedule a consultation online or by phone with BloomMed LLC.